The Food Network officially kicks off their annual South Beach Wine & Food Festival on Thursday, February 25th. 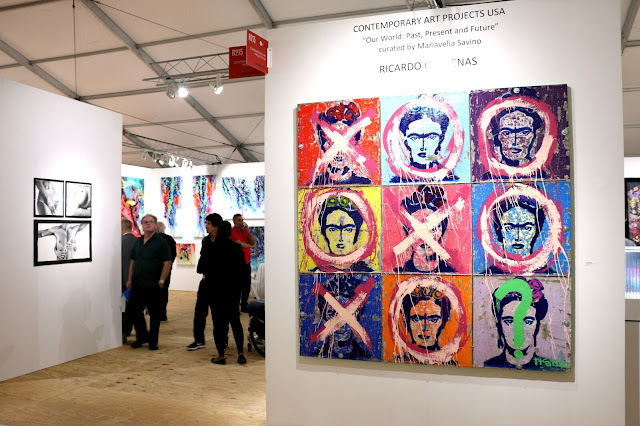 This is a national, star-studded, four-day event showcasing the talents of the world’s most renowned wine and spirits producers, chefs and culinary personalities. Although most of the events have been sold out, you can still reserve your tickets for an educational wine seminar or a relaxing lunch over at Joe's Stone Crab. Another event that has not been sold out is the "Whole Foods Market Grand Tasting Village" which takes place on Sunday, February 28th. 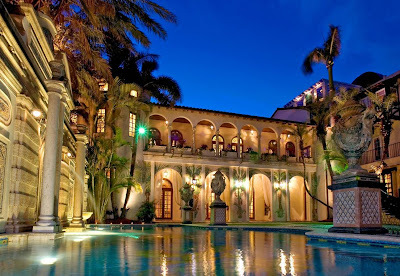 This event actually features many of the chefs seen on the Food Network including Anthony Bourdain, Paula Deen, Emeril Lagasse, Guy Fieri and Daisy Martinez. Bring your friends and take a stroll through South Beach as you learn about the seductive, restorative power of inspired cuisine, excellent wines, and well-crafted spirits. 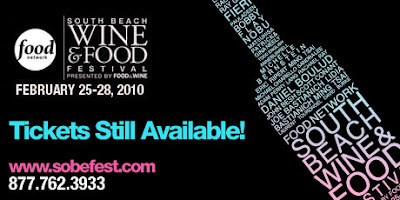 For a complete list of events or to purchase your tickets online, visit www.sobewineandfoodfest.com. Enjoy the festival and always remember to drink responsibly.